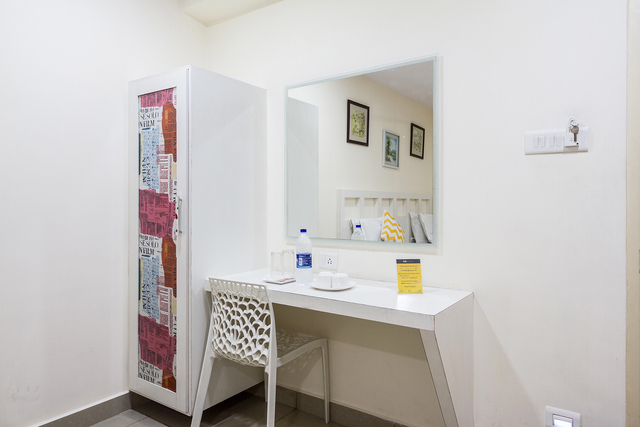 Close proximity to MNC offices, hospitals, and government banks. 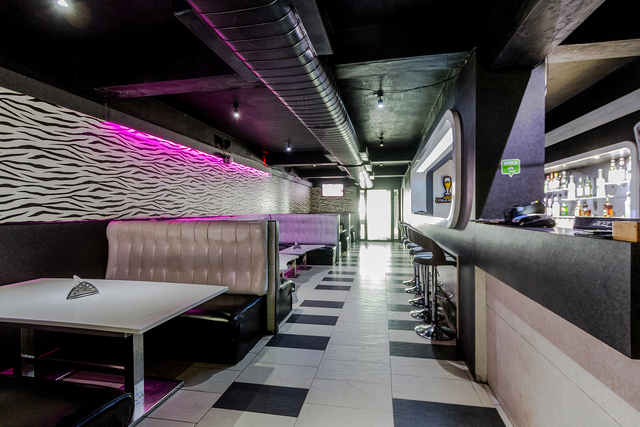 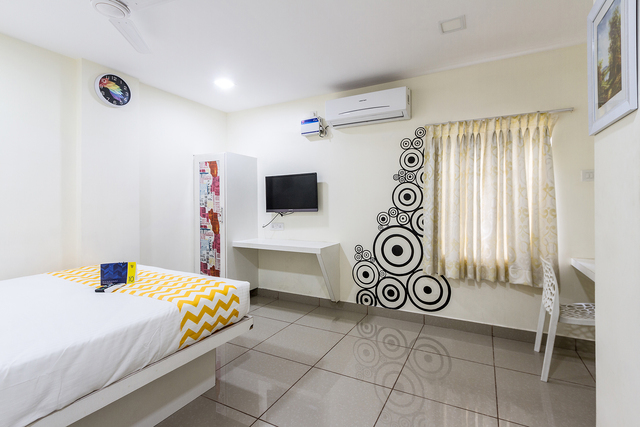 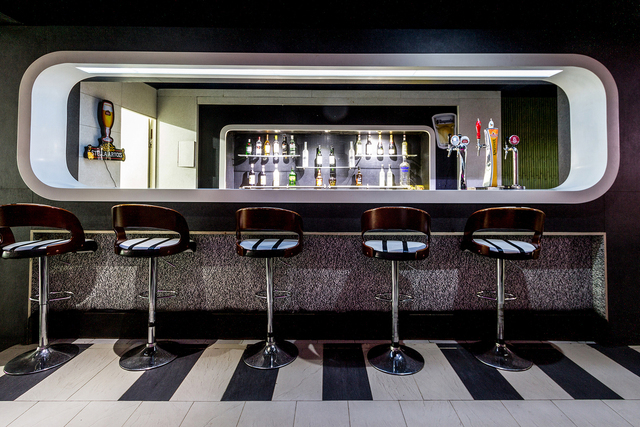 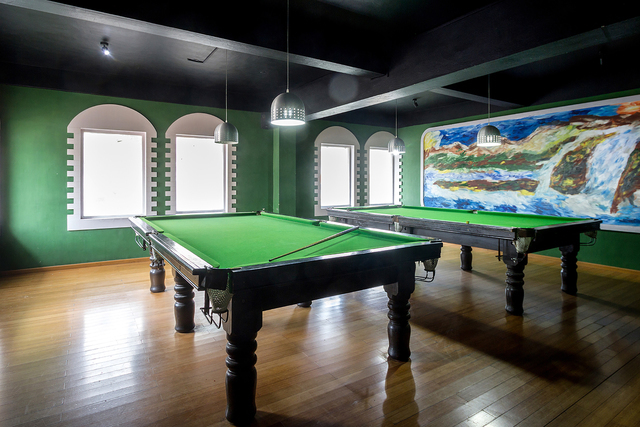 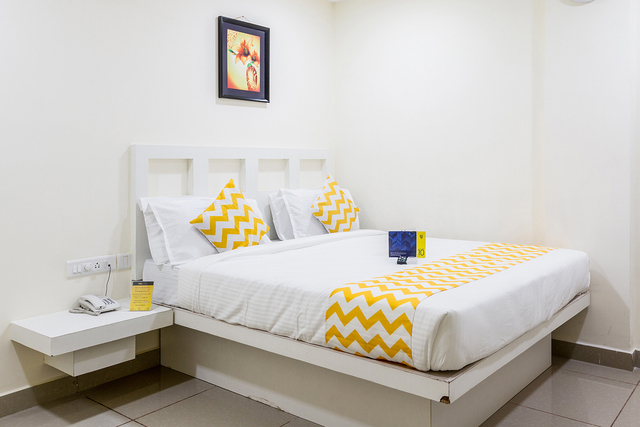 FabHotel Colors Apart is situated on the Santhome High Road, Santhome, Chennai. 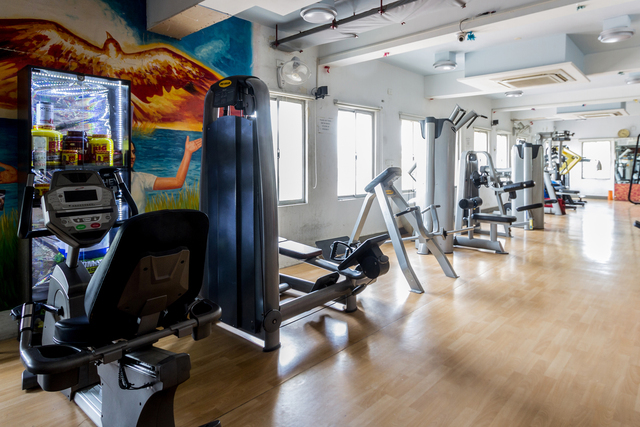 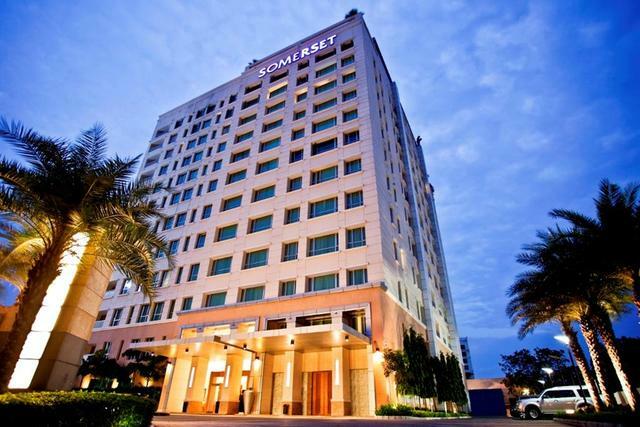 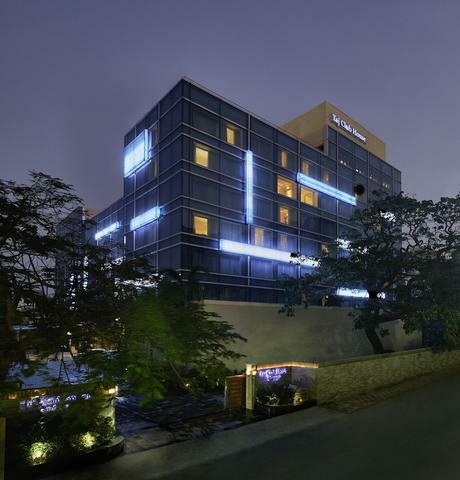 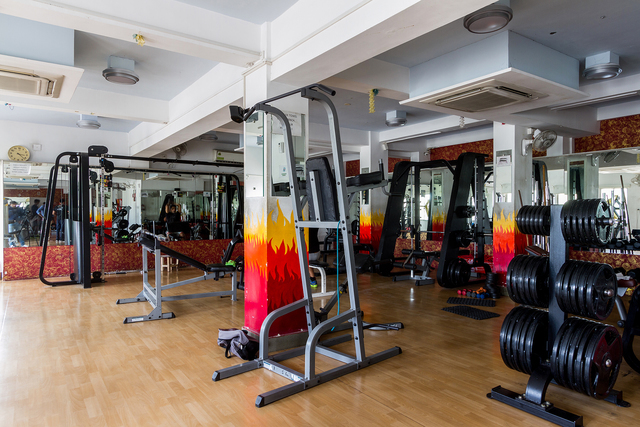 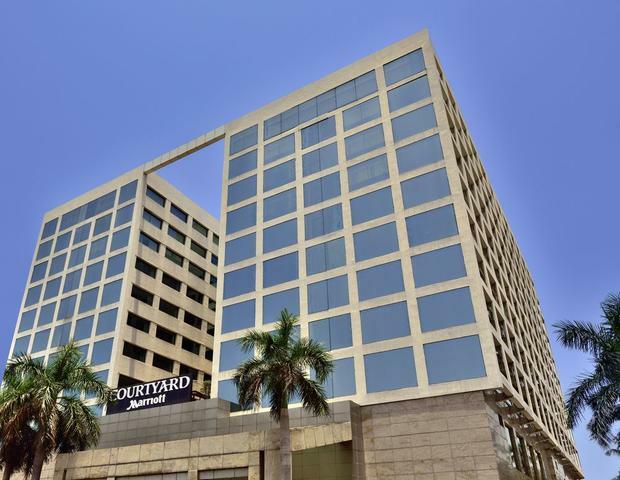 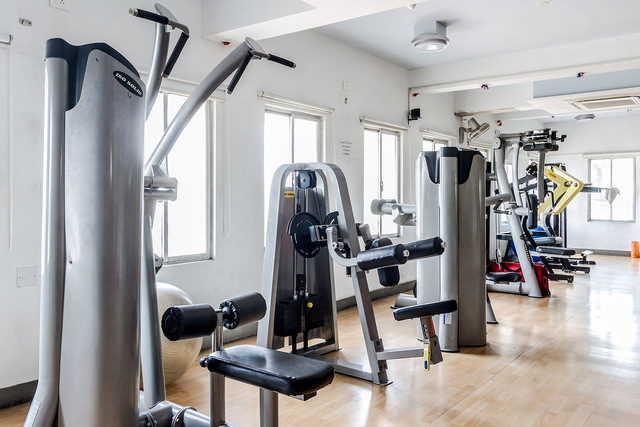 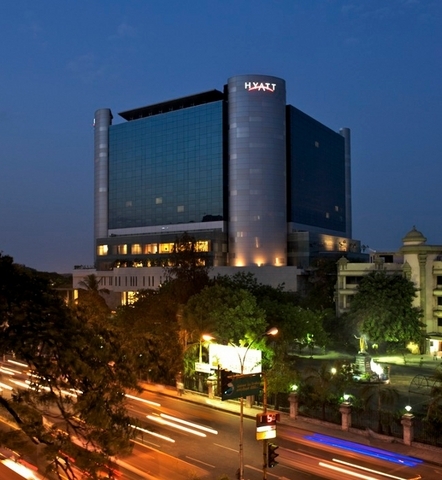 The hotel is close to landmark offices and sites such as Cognizant Technology Solutions, Apollo Speciality Cancer Hospital, YMCA College of Physical Education, Santhome Cathedral, Kapaleeshwar Temple, Gandhi Beach, Marina Beach, and Phoenix Mall. 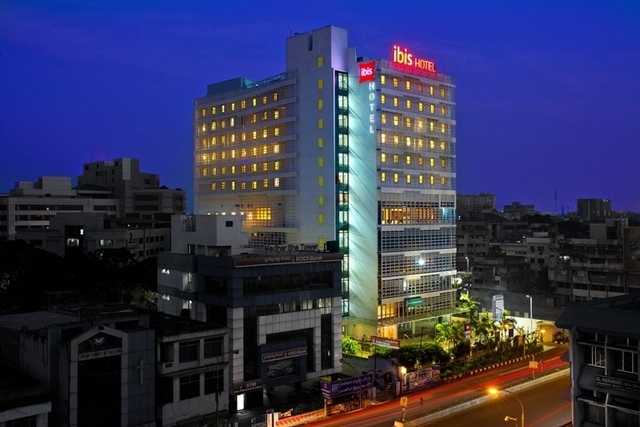 Chennai Central Railway Station and Chennai International Airport are 8 km & 15 km away respectively. 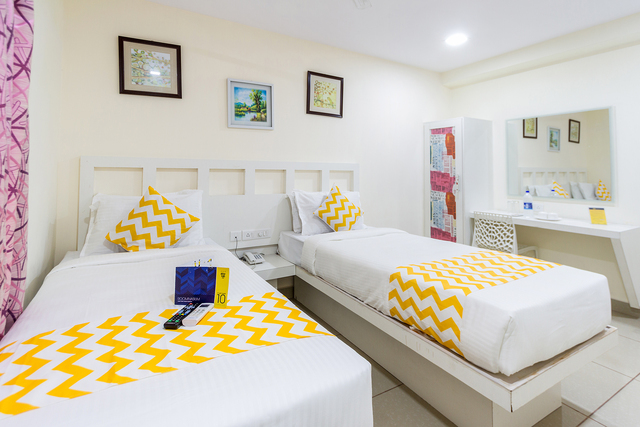 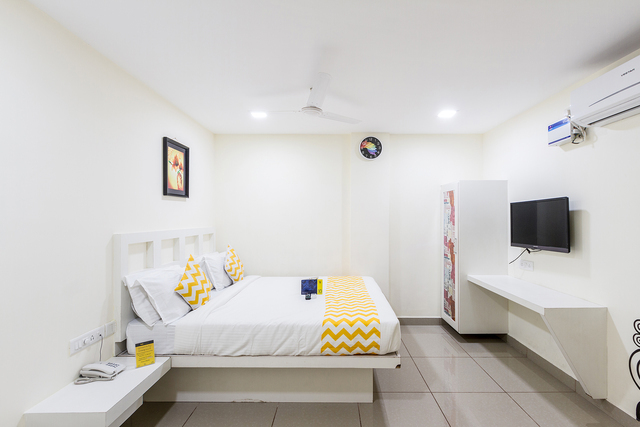 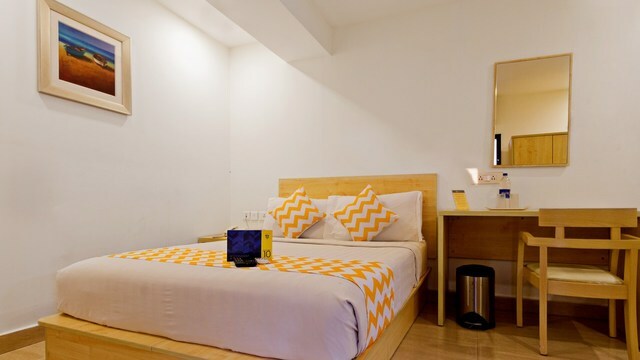 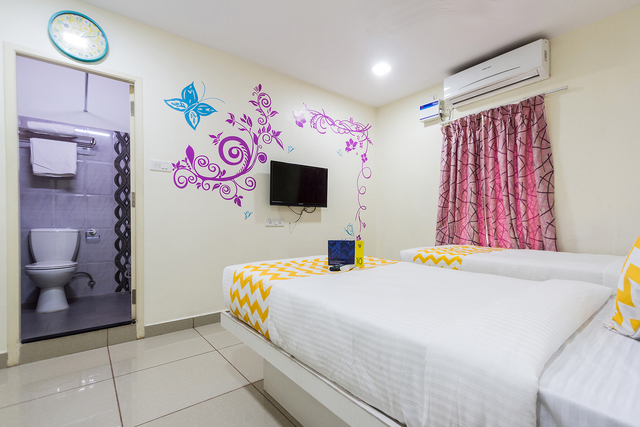 FabHotel Colors Apart boasts of vibrant white-themed rooms, where each room has a dash of yellow and pink furnishings and upholstery. 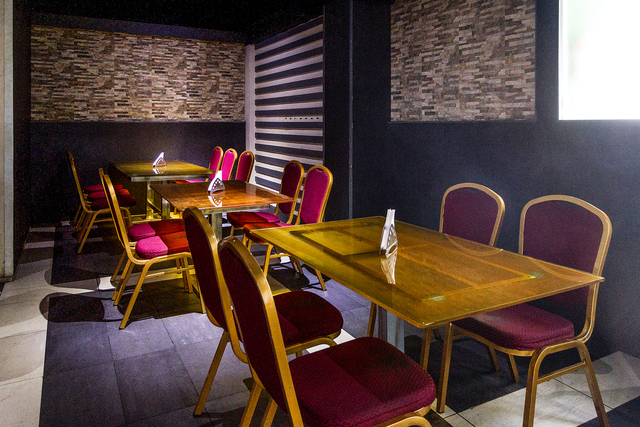 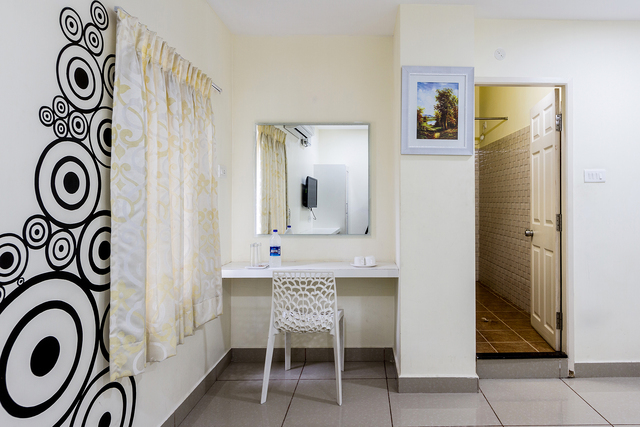 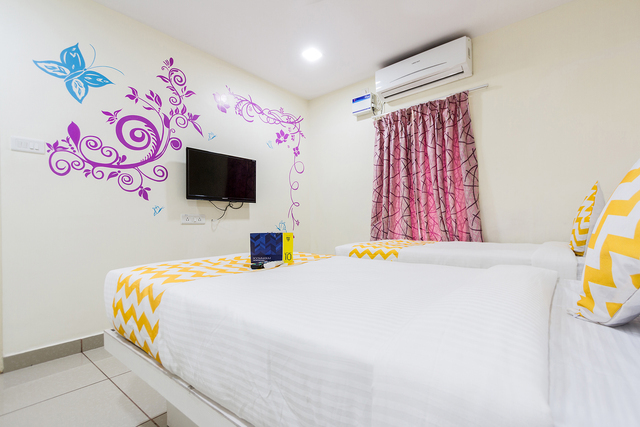 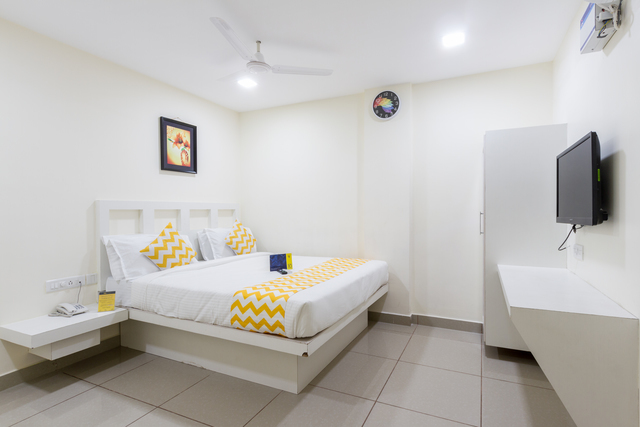 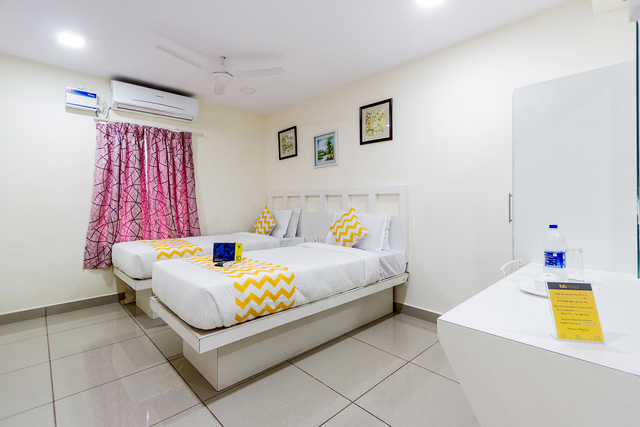 Each room is equipped with primitive facilities like cushy beds, Air conditioning, LCD TV, tea/coffee maker, free Wi-Fi & connected bathrooms with complimentary toiletries. 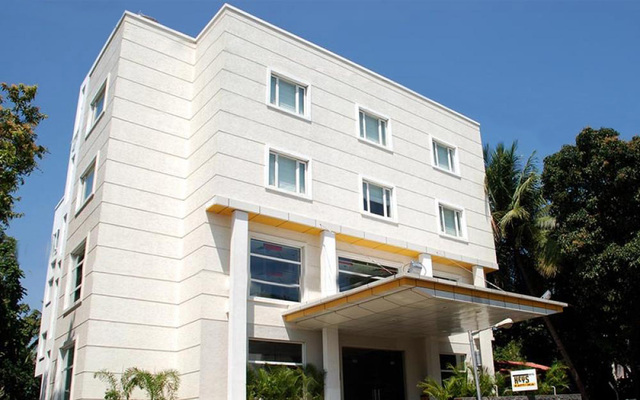 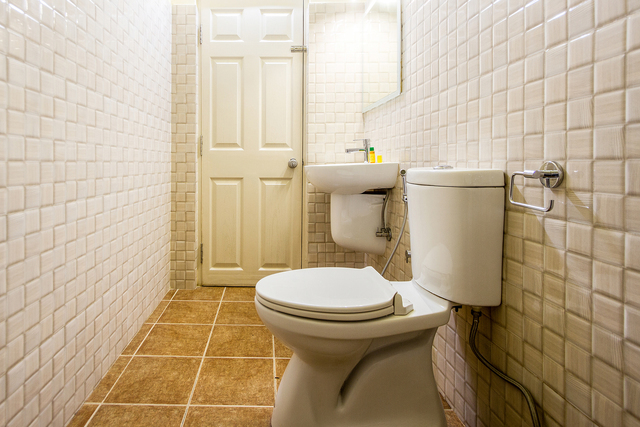 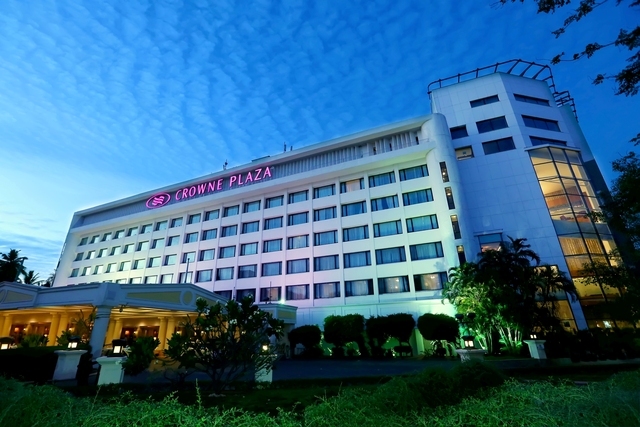 The hotel provides parking space, lift and room service for the comfort of the guests. 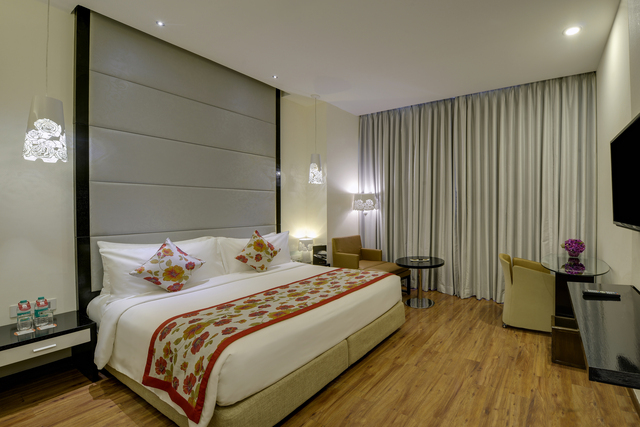 FabHotel Nachiappa provides complimentary breakfast and in-room dining service to make the stay pleasant. 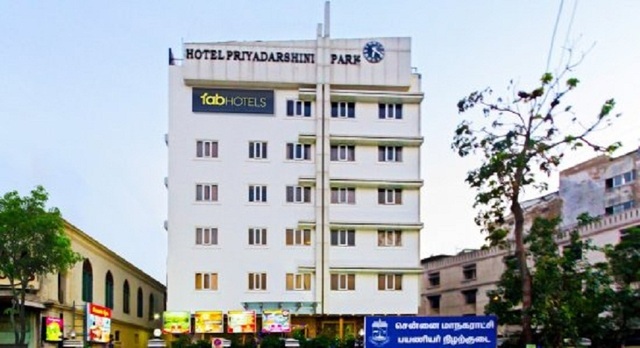 Sightseeing: Tourists staying at the hotel can visit a range of beautiful places of worship like Kapaleeshwar Temple, Ramakrishna Temple Sri Adikesava Perumal Peyalwar Temple, San Thome Church, Kolavizhi Amman Temple, Sri Parthasarathy Temple, and St Thomas English Church. 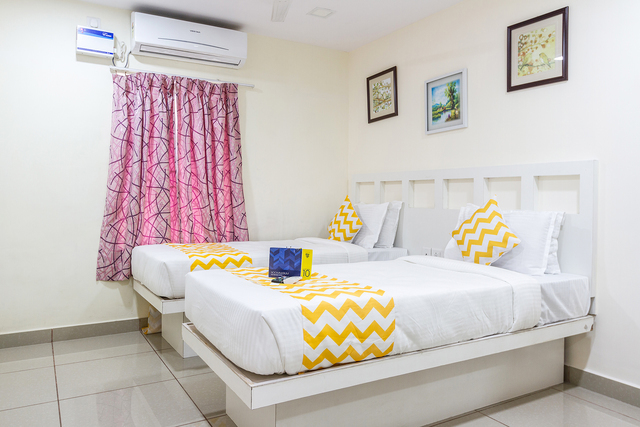 Shoppers Paradise: Shopaholics can go to Mandaveli Market (2 km) to buy things at reasonable prices or visit Phoenix Market Street (8 km) for branded shopping." 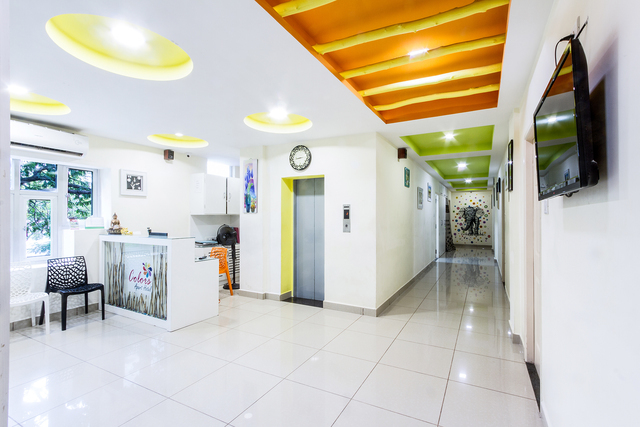 FabHotel Colors Apart Santhome accepts only cash payments at the property.